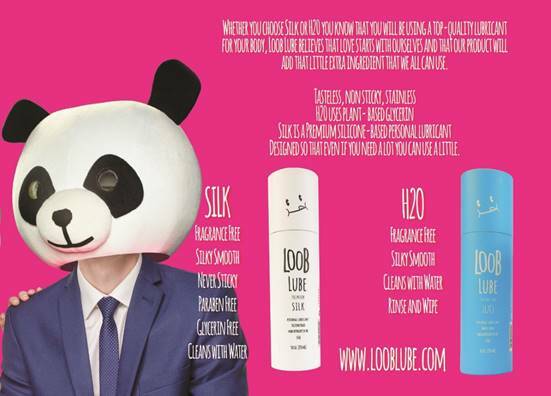 LOOB Lube Silk and H2O products are produced in the USA and are FDA-approved, using the finest silicone and plant-based glycerin. Loob Lube packaging has a boutique look that merges fun and fashion, LOOB Lube is made to the perfect texture, not too thin or too thick, without a tacky or sticky feel. LOOB Lube was created to remind us that that “Love Owns Our Body,” and will be confidently sold wherever love is felt. I was sent H2O 5-ounce bottle that arrived in a fashion friendly blue package and you open it up and inside was a bottle that you use as a personal lubricant. Now, this is water-based and is designed with love to combine your body’s natural lubricant in this to create a mixture that is truly marvelous. You can experience a truly delectable glide with no sticky or tacky residue. My Opinion: I do not always talk about products that are for ages 18 and up but I thought it was important that you know about Loob Lube as you know when you get closer to menopause you lose your personal lubricant and you need a little help. I found this worked very well and I really like the packaging because it’s discreet.